The Village Centre masterplan incorporated an area of housing development. Frank Shaw Associates obtained detailed planning consent for this development in conjunction with the commercial centre of the village. The design was for mixed housing of town houses, flats and semi-detached dwellings. 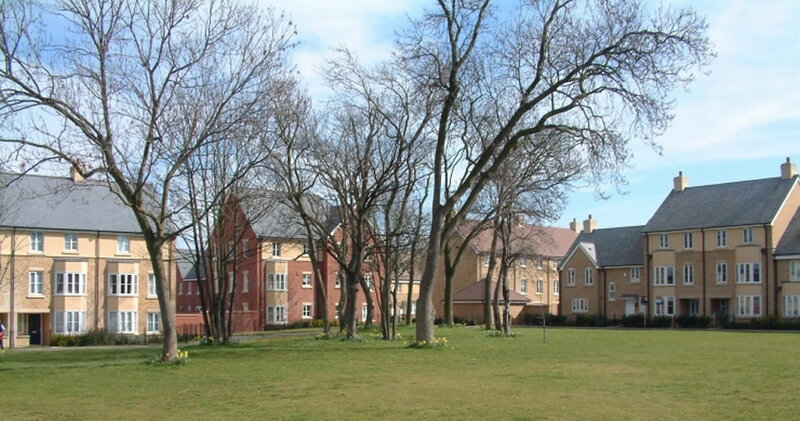 The majority of the town houses are planned around a new village green, designed to use some existing mature trees as structural planting and to provide a ready-made context. The scheme was developed in close liaison with South Cambridgeshire District Council and Papworth Everard District Council. The scheme was one of the first that SCDC approved within the context of PPG3.